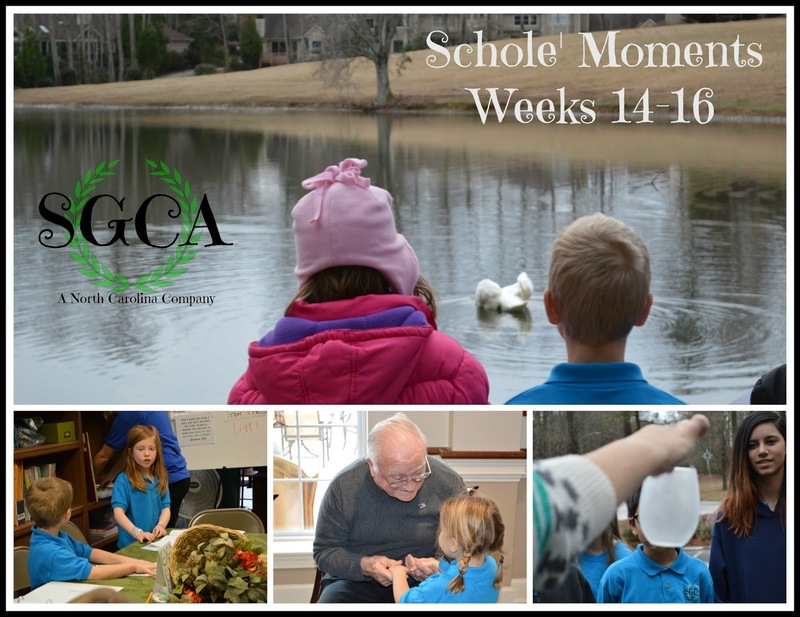 It's been a very blessed time at SGCA despite my blogging shortcomings. 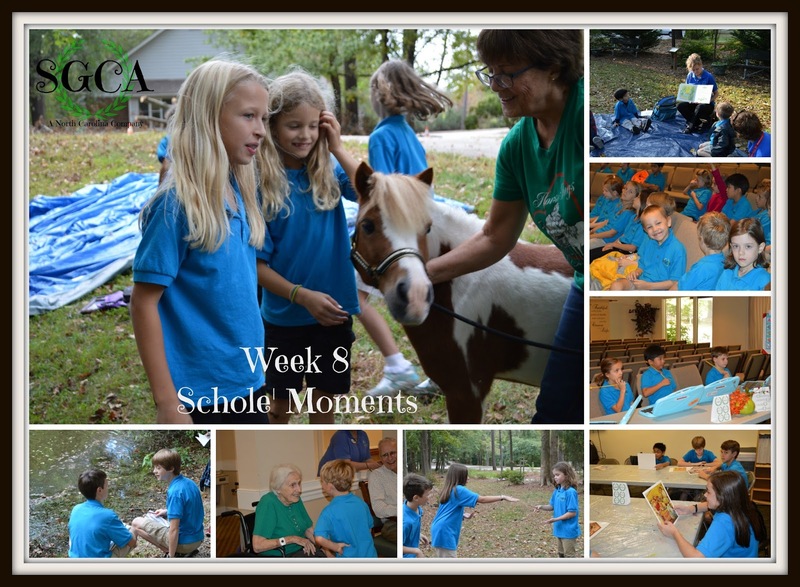 We've had some wonderful guests for Schole' lunches. SFC James Medina, one of our SGCA Dads, spoke with our students about his military career. Claire Ramsey with Stories by Claire, a local professional story teller, entertained the kids with her engaging stories. Jacey Edwards, who recently tried out for The Voice, shared her beautiful voice with the students. I can't fail to mention the student presentations for geography that were super as well! We continued to spend scheduled lunches with the retirement home residents, as well as our weekly visits from our 4-6 year old class. So join us as you walk visually through our last several weeks following the Holiday. 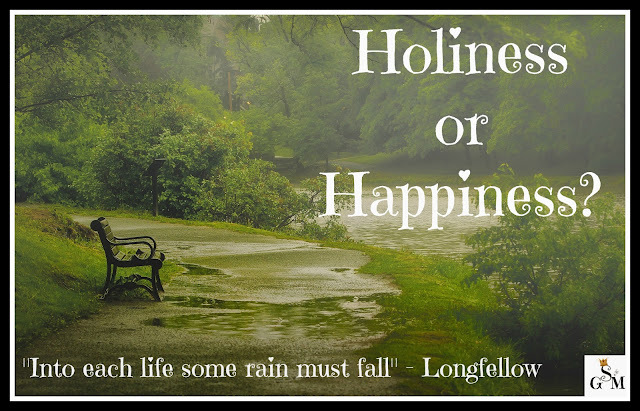 As a young believer struggling with forming right thinking from 21 years of life apart from Christ, I had an encounter with my mentor at the time, where she said to me "God is more concerned with your holiness than your happiness. If you are living a holy life, you will be happy." It was a shocking revelation to me, turning my thoughts and world upside-down. I had been raised to believe that problems were things to quickly dispose of or run away from in order to get to that elusive goal of "happiness". It never lasted long before the next problem came along and the cycle continued, until that day my mentor spoke those words of wisdom into my spirit. It forever changed how I viewed problems in life; they were no longer things to run away from so I could reach some subjective idea of happiness. Difficulties were now opportunities to confront my own heart and submit myself to God for examination, so I could grow more into the likeness of my Savior. Given the Nor'easter that is heading up the east coast to dump some serious March time snow, I thought I'd finally get around to posting about the Christmas party we had back in December! 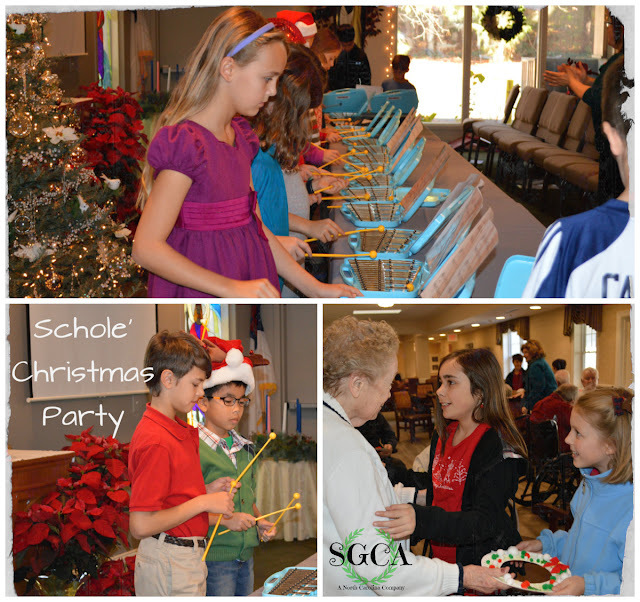 We had a wonderful Christmas party, which included a glockenspiel music recital by our students, yummy food, and a service project for the retirement home residents to brighten their doors for the Season. Join us as we recount our Schole' Christmas party! It's been quiet on Solagratiamom for the past few months. I apologize for not keeping up with blog posts since Thanksgiving. We have been dealing with some very difficult things in the Leonard home since then. My Mother-in-Law unexpectedly passed away just after Thanksgiving, and we have been consumed with all that goes along with the death of a close family member. I'm just beginning to dig out. So here is my digest from the weeks prior to our Christmas break. 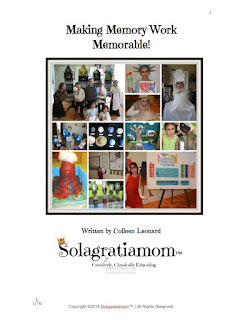 1st Learning Celebration! 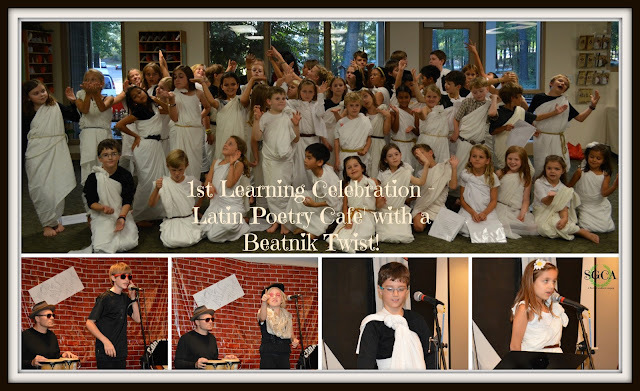 Latin Poetry Cafe' with a Beatnik Twist! 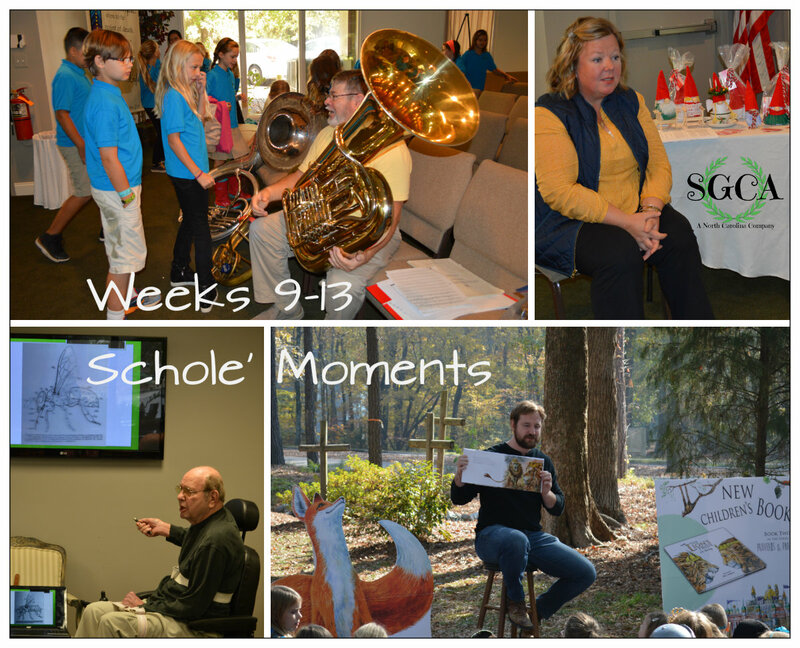 Week 7 started on an accelerated schedule to allow for our evening Learning Celebration! 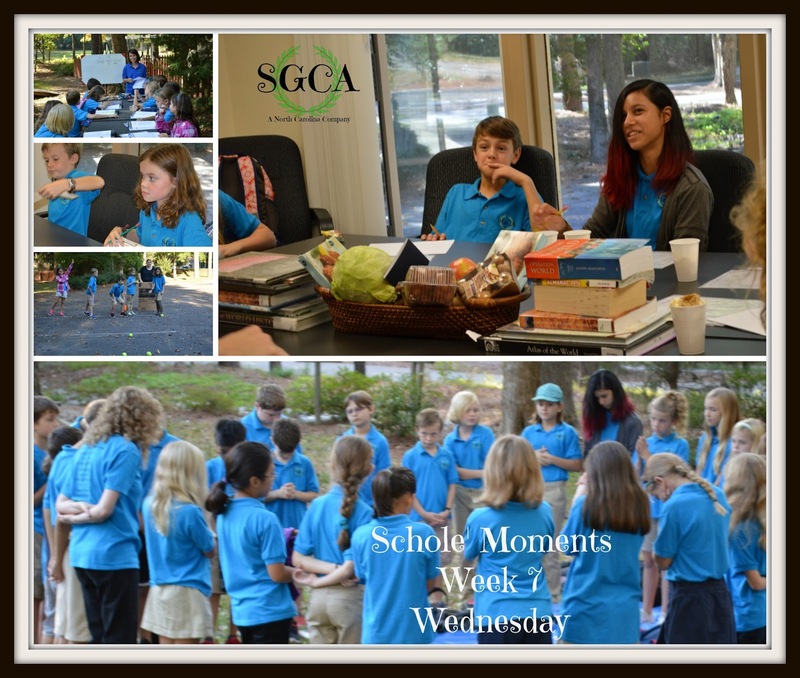 We had students attend all five of their normal classes, however, they were condensed into 45 minute blocks. This allowed us to do an early release at 12:45pm. This gave students time to go home and take a little break, before returning in costume for the big night!